The groundbreaking TC8000 warehouse mobile computer was designed from the ground up to increase worker productivity by 14 percent. 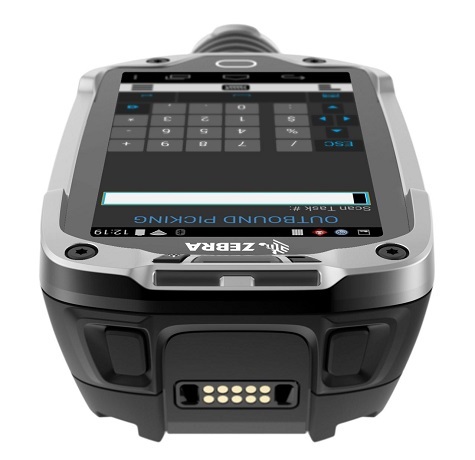 Zebra has minimized the ‘tilt and verify’ motion required to interact with the device, and it’s 33 percent lighter to minimize fatigue. Zebra has also integrated a tool that allows you to transform your legacy Terminal Emulation (TE) “green screens” into elegant, graphics-based "All-touch TE" screens that are not only highly intuitive, but also dramatically reduce the number of interactions required to complete a task — no coding and no modifications to your host application are required. 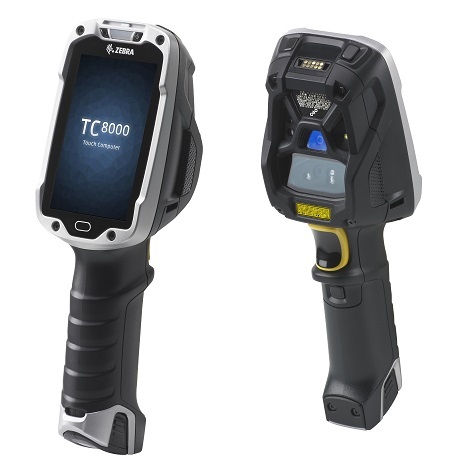 A unique and innovative take on the warehouse handheld computer, the TC8000 puts your inventory right in your had and allows you to easily scan, check, send, and edit information on the go with minimal wrist movement and multi-input touch screen. You can use your finger, with or without a glove, or a conductive stylus to manipulate the screen and your data. It´s durable, unique, and highly efficient. <li> Choice of 1D, Standard, Mid, or Extended Range 1D/2D scan engine options <li> Android 5.1 Lollipop <li> Bluetooth, NFC, 802.11a/b/g/n communication <li> 1.7GHz Dual Core Processor <li> 1 year warranty </ul. Dimensions (L x W x D): 9.17" x 2.99" x 2.52"